The seventeenth of the primes. Its twin is twentynine. Po. Let’s drive. Bye, Alfonsín. Add seven triangular. Sweet. 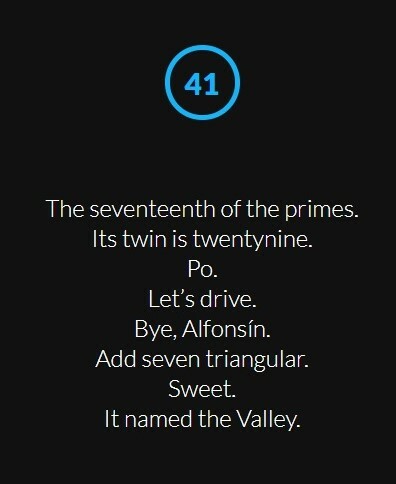 It named the Valley. Browse other questions tagged riddle cipher enigmatic-puzzle knowledge unsolved-mysteries or ask your own question.